A strong focus on internal customer-centricity throughout the spend management process lets internal customers (employees and managers) quickly and easily get the goods and services needed to do their job through company- approved channels. This approach maximizes company performance by achieving high spend savings and enabling employees to focus on their core jobs. It also minimizes risk by seamlessly embedding compliance with corporate policies and increased business with only contracted, approved suppliers. 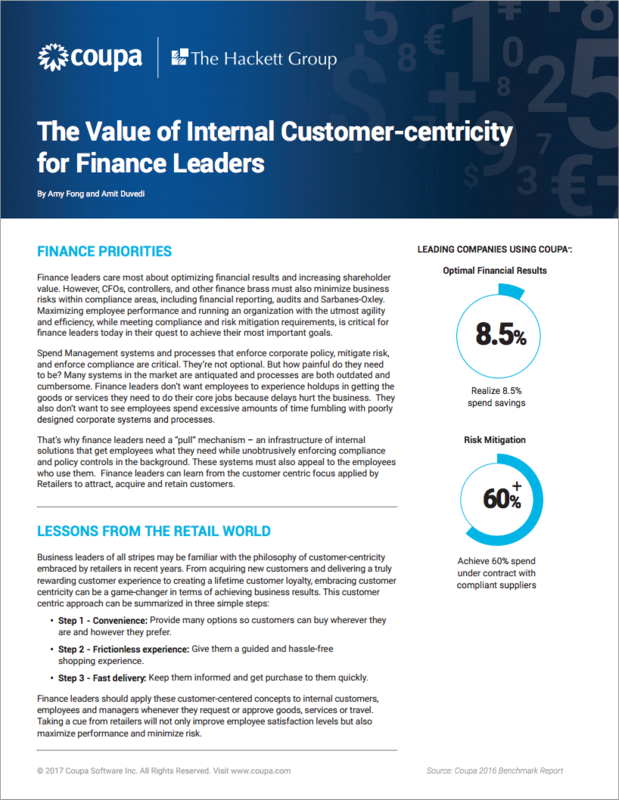 Download your copy of the report, and learn more about how to drive financial results and risk mitigation using an internal customer-centric approach.